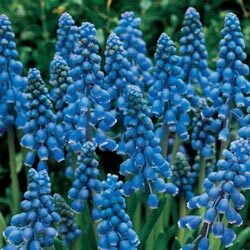 A sure sign that spring has sprung is when the landscape is alight with the unique, yet altogether charming blooms of Grape Hyacinth. Plump, arrow-shaped flower heads are made up of royal blue, bell-shaped florets edged in cool, crisp white. 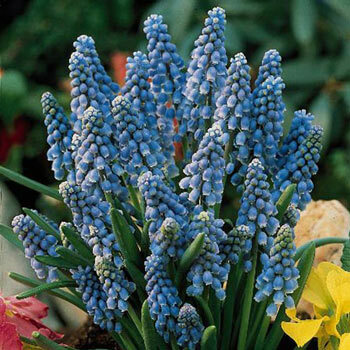 A longtime garden favorite due to its easy nature and vibrant color, Grape Hyacinth (or Muscari) is carefree with a vigorous habit that will provide many years of uncommonly pretty blooms in the early-season garden. 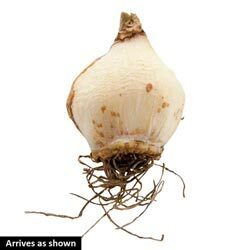 Makes a wonderful display when planted amid white early-season tulips or daffodils.